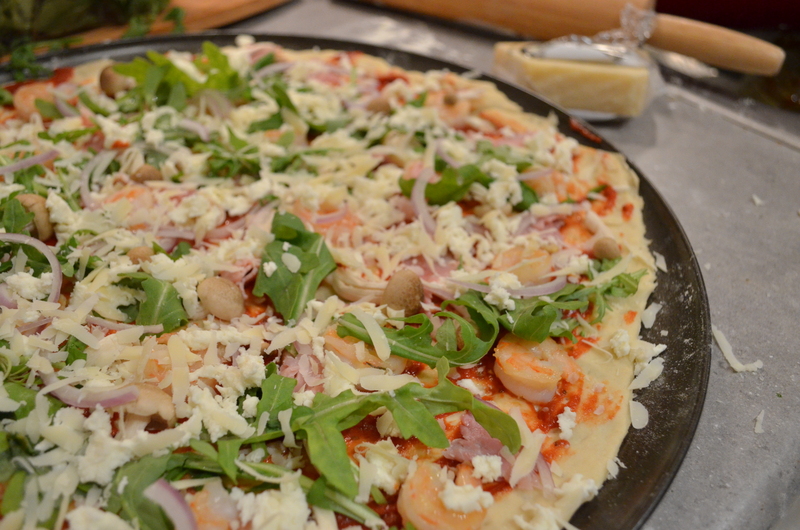 This time with arugula and shrimp… and Prague ham. 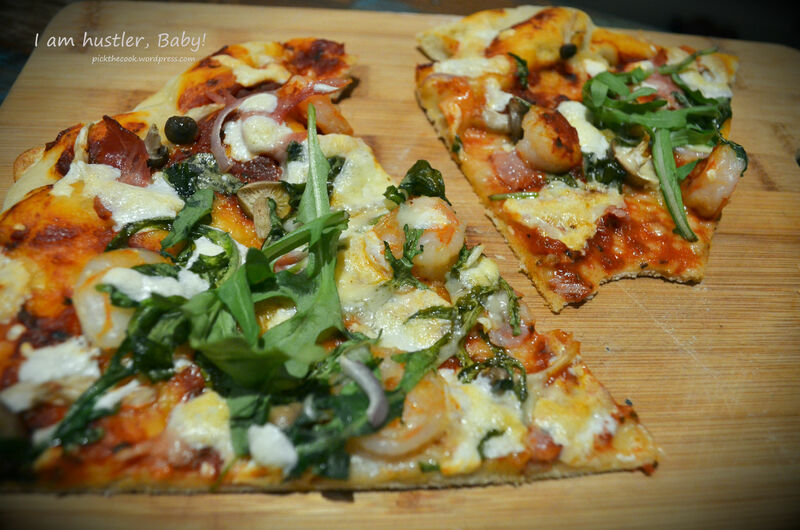 Make your own dough, that’s the secret! Put the water together with the yeast in a large bowl and mix it well with a wisk. Start incoportating the flour little by little until the dough is smooth and doesn’t stick to the hands. Cover the bowl with plastic wrap and let it rest in a warm spot for 30 minutes (until double in volume) . (or do it with your hands starting from the middle of the dough and working your way to the edges). Crush the garlic cloves and sautè them with the shrimp in butter. Mix the tomato sauce with 2 tbs olive oil, pink salt & pepper, cayenne pepper and oregano. 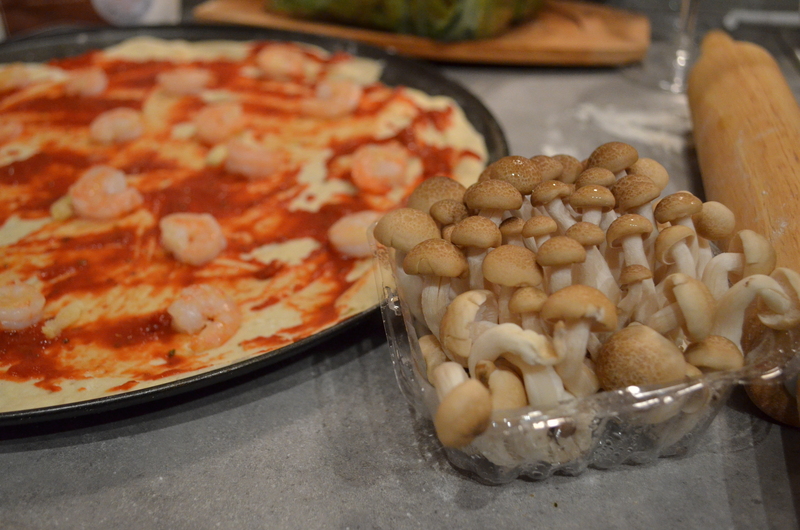 Spread the tomato sauce over the dough and start covering the pizza with the rest of the ingredients. Bake it at 350 F for 30- 35 minutes!